Leading the market in superior uptime with reliable autonomous material handling technologies. In manufacturing, every minute, every hour, every day counts. Over millions of cycles and millions of hours of production uptime in the harshest of factory environments, the Autocraft™ Autonomous Guided Vehicle (AGV) design and controls architecture has been tried and refined. Our AGVs can be found in production facilities all over the world delivering material safely and predictably, 24 hours a day, 7 days a week, 365 days a year. Our expert team brings decades of experience successfully designing, building, and integrating fleets small and large for customers across the industrial world. No navigation bars or charging systems bored into your factory floor. With flexible AGV-based build lines, you can easily adapt to unforeseen changes. Using our adaptable FlexTape navigation system, your AGV solution will optimize your build capacity and the factory footprint required to achieve demand. 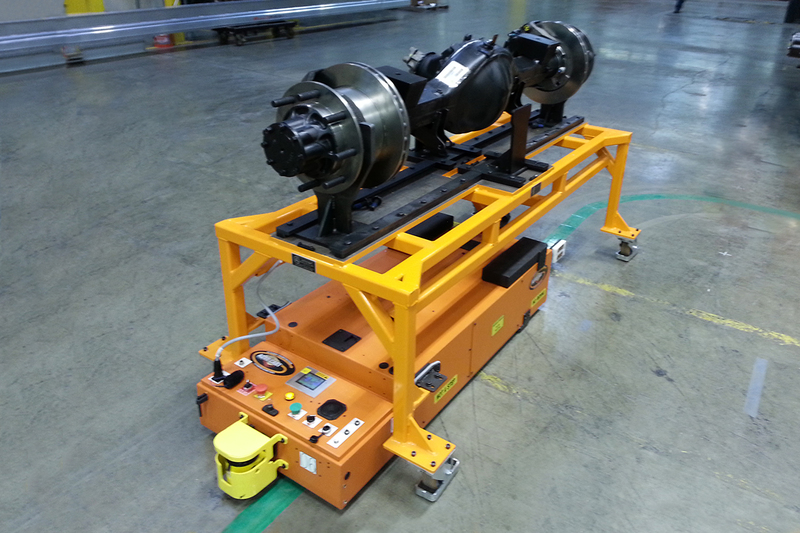 Autocraft™ AGVs power high performing operations like Boeing, Ford Motor Company, and John Deere. Leveraging common industrial controls components from companies like Allen-Bradley, Siemens, Keyence, and SICK, our AGVs utilize an automation and controls platform that is easy to integrate into any factory environment. Enhance safety and increase productivity in your facility by reducing dependence on traditional fork trucks and tuggers. 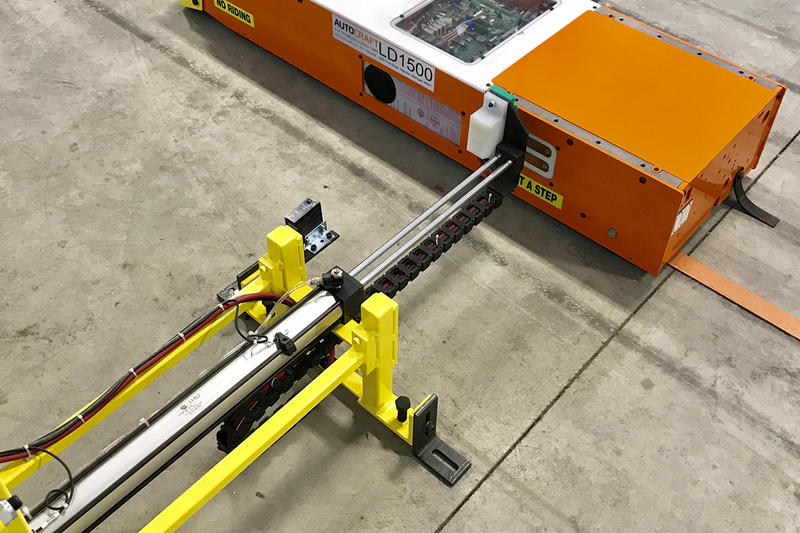 Optimal uses of the LD1500 include automating dock-to-stock and stock-to-point of use kit delivery or moving work-in-process inventory between production cells. 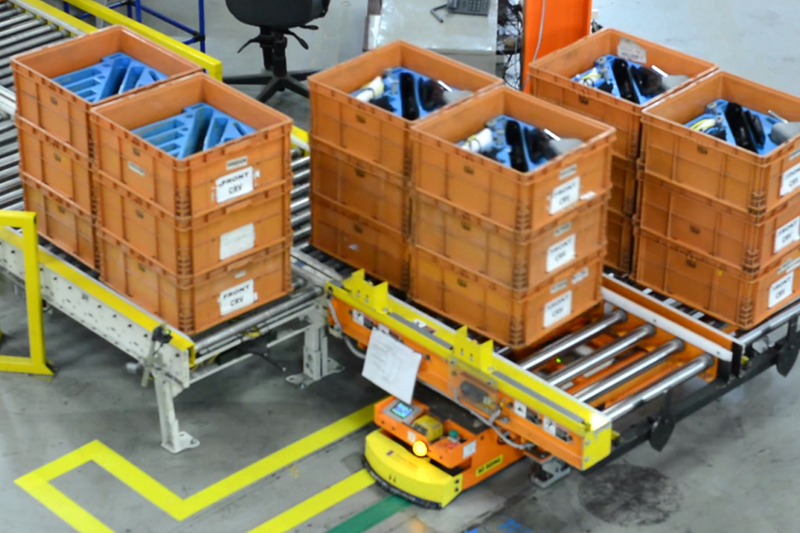 Replace traditional fixed conveyance systems with an Autocraft™ flexible AGV build line that can adapt to dynamic demand and labor loading, while also providing a flexible factory footprint that can be rearranged with the click of a button. Our largest capacity model suited for entertainment barges (Disney), marine engine assembly (CAT) or agriculture drivetrain applications (John Deere). Common applications include moving finished goods and/or large bulky items. Quickly interface with your existing operation and ensure optimal long-term flexibility with Autocraft™ standard components and attachments. 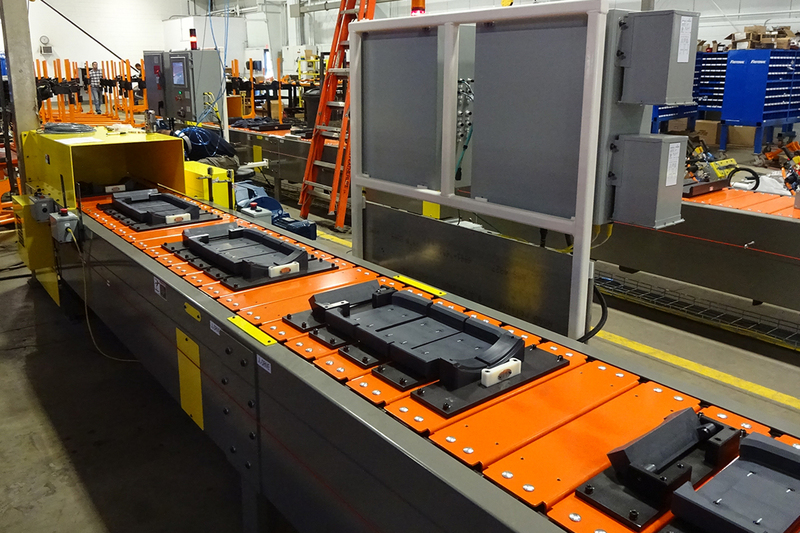 The IntelliCharger™ allows for fully-automated AGV charging and power management to maximize fleet uptime. Standard and custom companion frames interface with any Autocraft™ AGV for application-specific transportation of payloads. They contain passive RFID tags to achieve data analytic and fleet traceability goals. 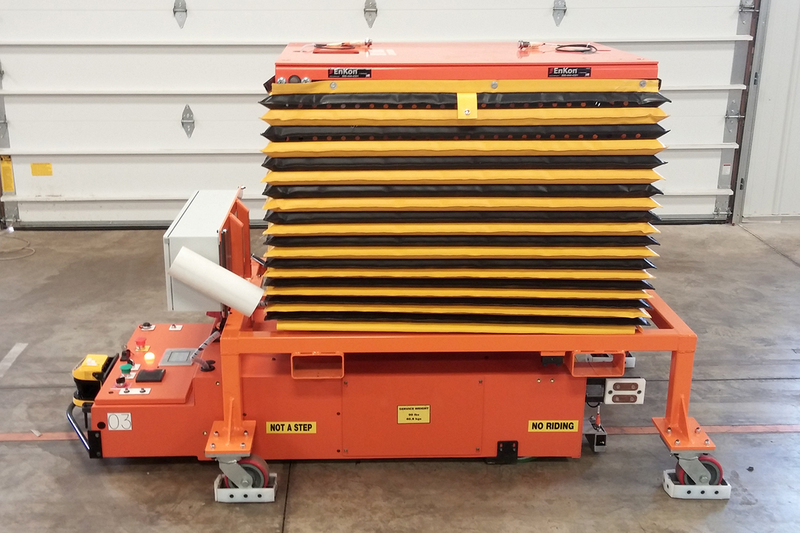 Operator pedestals dispatch and direct AGVs where to pick-up and drop-off payloads. They collect data used to report operational metrics like work cell utilization and employee performance. Automate the transfer of material onto or off of Autocraft™ AGVs eliminating the need for fork trucks. 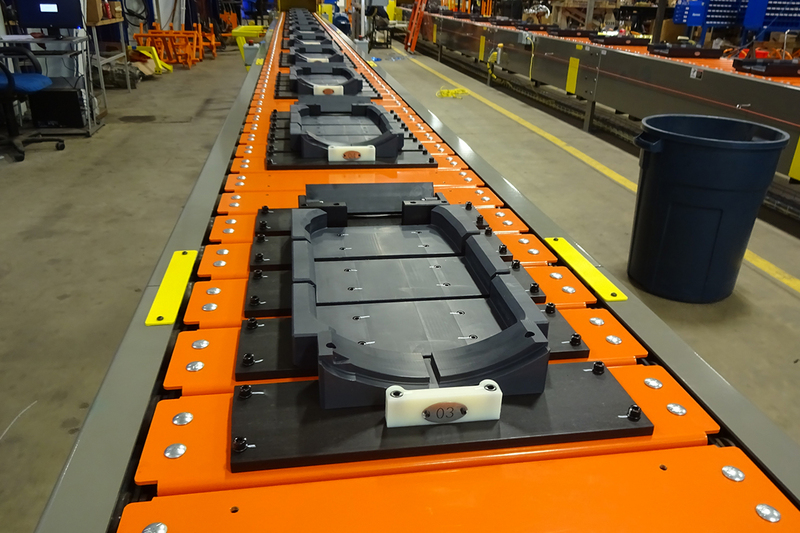 Our automated conveyors enhance operator safety, increase work cell and employee efficiency, and also eliminate facilities repair associated with fork truck damage. 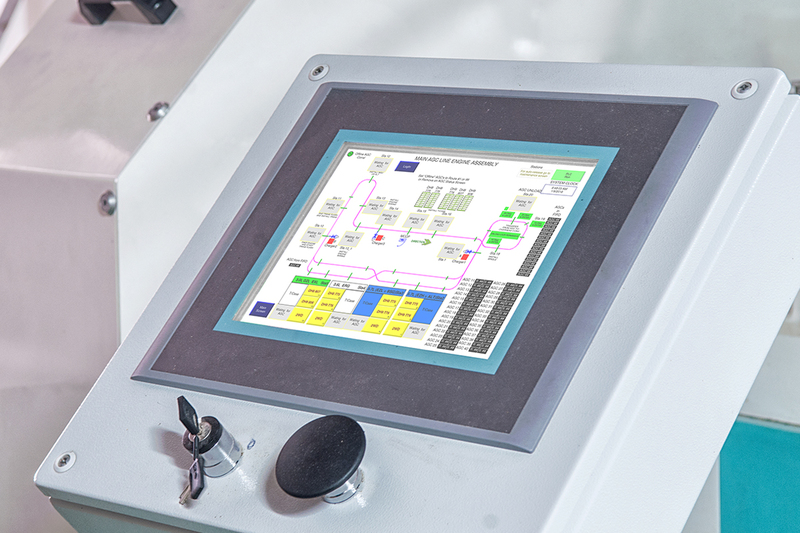 A Master Control Panel connects an Autocraft™ AGV system to existing factory information systems and software for true programmatic management of material movement. Standard scissor lifts and trunnions are incorporated onto companion frames to position product to ergonomic work heights and angles. Enable the manufacturing agility that your organization craves with flexible and responsive AGV build lines. 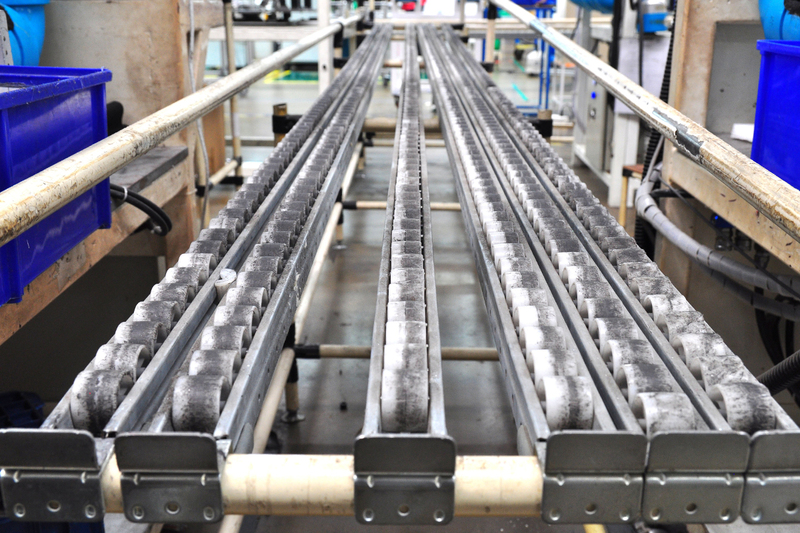 Production rate increases, model mix shifts, and product design changes no longer need be constrained by traditional fixed-conveyance systems. System initializations and reconfigurations take a fraction of the time and expense of fixed-conveyance systems and require none of the permanent monuments or heavy construction on the plant floor. Autocraft™ provides a complete turn-key solution that extends to the design, build, and factory-level integration of the AGV fleet coupled with custom companion frames equipped with Autocraft™ patented work-brake assemblies for easy product manipulation and assembly. These systems will operate for years with minimal preventive maintenance and can be easily reconfigured when it’s time to ramp up production or redeploy them altogether to another part of your plant. Reduce your line-side footprint that’s dedicated to material staging by delivering material reliably with AGVs. AGV data analytics enable manufacturers to optimize AGV fleet sizes and line-side delivery schedules based on fluctuating customer demand. 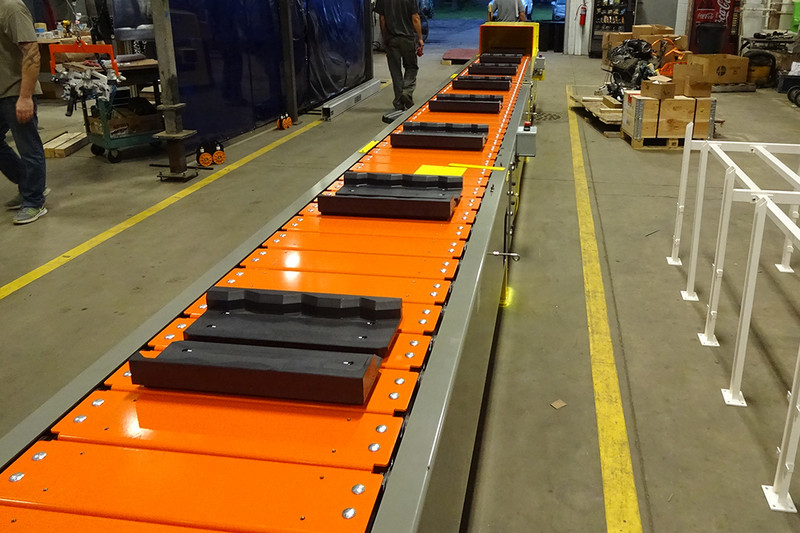 Autocraft AGVs provide a complete turn-key solution that extends to the design, build, and factory-level integration of custom companion frame tooling, gravity flow racks, powered roll conveyors, and kit carriers. These seamless system components enable your AGV fleet to deliver material for warehouses, cross-docks, receiving dock-to-stock, stock-to-point of use, supermarkets and line-side delivery. Test drive your factory layout and operational processes before breaking ground. Eckhart’s layout and process engineers work with customers to validate throughput expectations, identify bottlenecks and evaluate how layout alternatives drive efficiencies. We also build business cases by providing simulations that will help you obtain support from senior management. Outsource your preventive maintenance to Eckhart. Our on-site field service technicians ensure that your automation systems achieve maximum uptime and minimize lowest total lifetime cost of ownership. Our expert technicians service industrial clients all over the world. 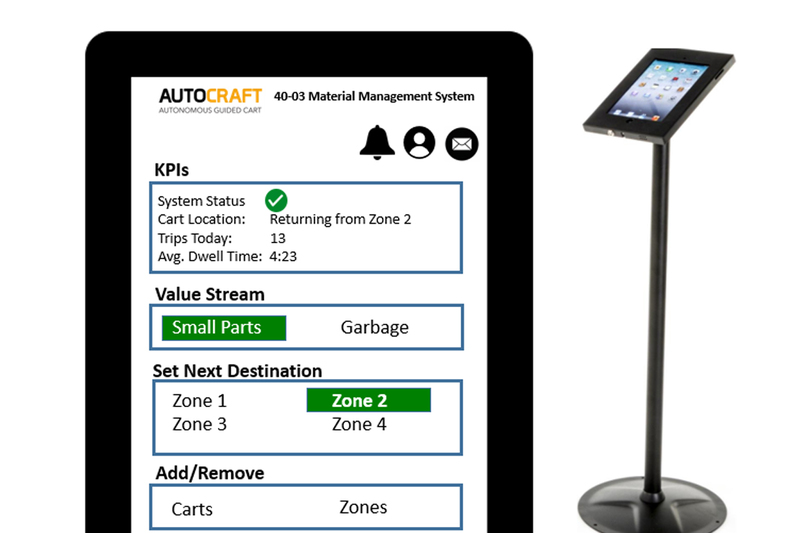 Access the customer portal for your Autocraft™ Autonomous Guided Vehicle solution. View your system dashboard, download drawings, access manuals and review preventive maintenance records.